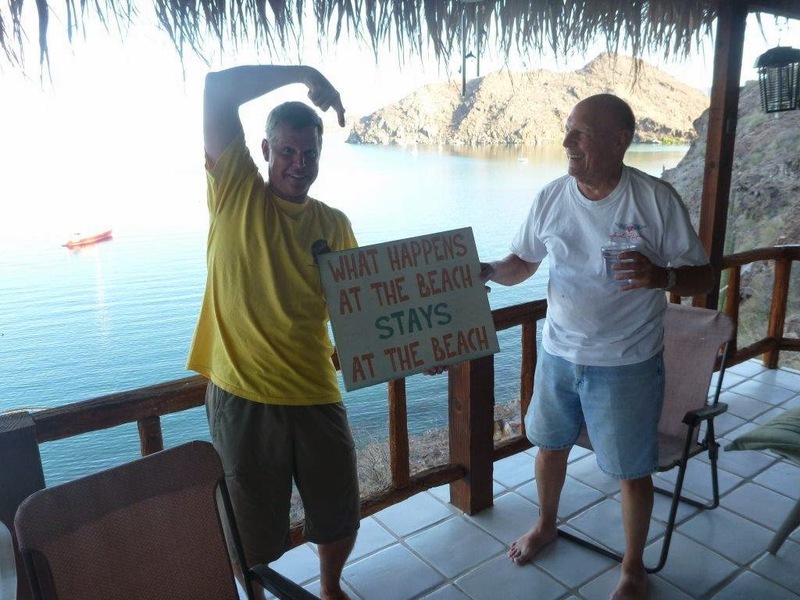 As Rob toils for one more day in the hot Mexican sun to get Shindig ready for summer storage, I wanted to remember the fun we had a few weeks ago up in the Sea of Cortez. Part of the cruising lifestyle is saying hello and goodbye. Friendships form fast, but schedules differ, and each sailboat has its own timeline. So when you see your friends on the water, you "make hay when the sun shines". 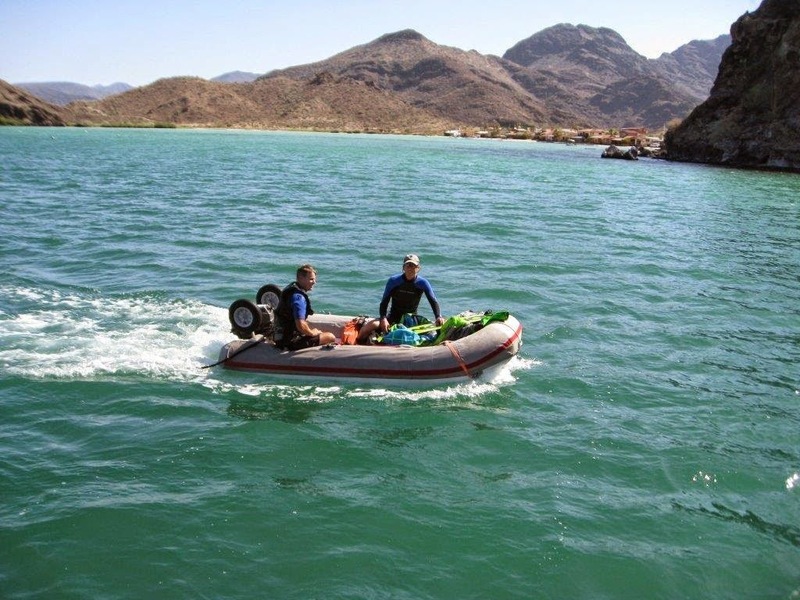 A year ago, Sylvia and Tom on Cinnabar (aka the Big Red boat) had shared the dock in La Paz with us as we sweltered through several weeks of getting the boats ready for their summer storage. Can you believe we couldn't meet up with them in the Bay Area (our homes are less than a mile away from each other), as well as this entire cruising season? So through emails and their patience, they delayed their departure from Bahia Concepcion, knowing this might be the only night to visit together. Also it was an early birthday celebration for Rob. One night led to another day, another night, and.... four days later we said our Goodbyes. 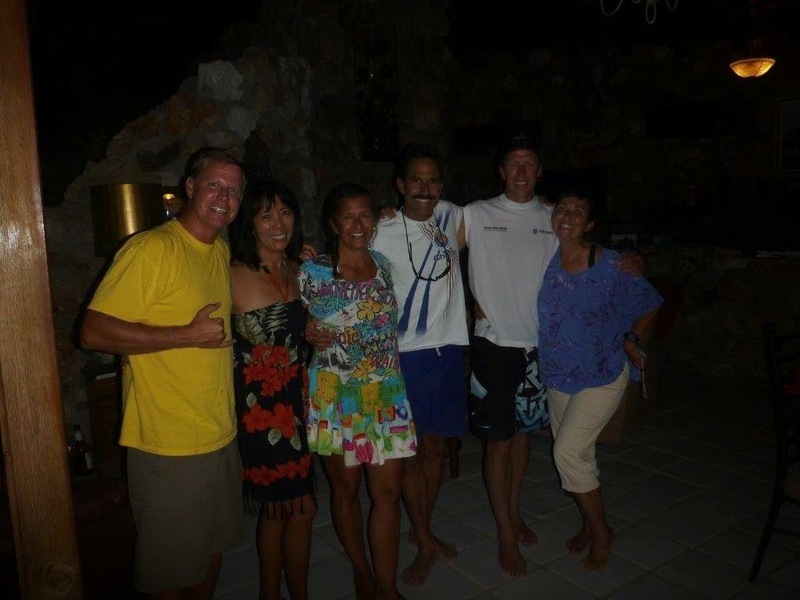 Snorkeling, SUPing, kitesurfing, swimming and visits with our mutual friend, Jerry, and his friends, who extended his hospitality and wowed us with his piano playing again. The gals headed to town one day, power shopping with a trip to the laundry mat, coffee/Internet shack and grocery store. We spent most nights perched high up on the balcony of their friend's cliff-side home, which gave a great look-out onto the bay and some relief from the hot hot sun. Our last night out was at the local's beachside shack with margaritas and live music. Great fun to have the place rocking and rollin' into the night. Feliz Compleanos Rob! Rob kite-surfing down wind into the anchorage - Impressive! Ahhh...great memories!! 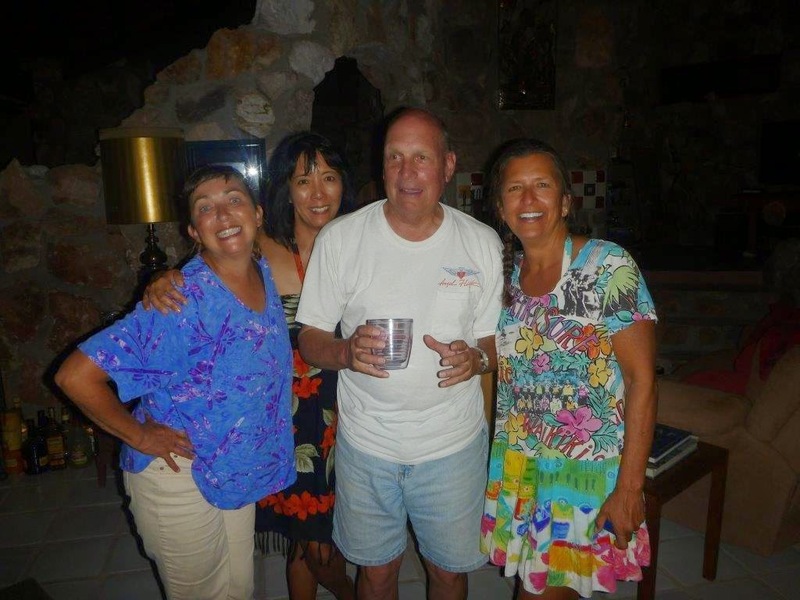 We're so glad we hung out in Bahia Concepcion a little longer so we could help Rob celebrate all his birthdays.